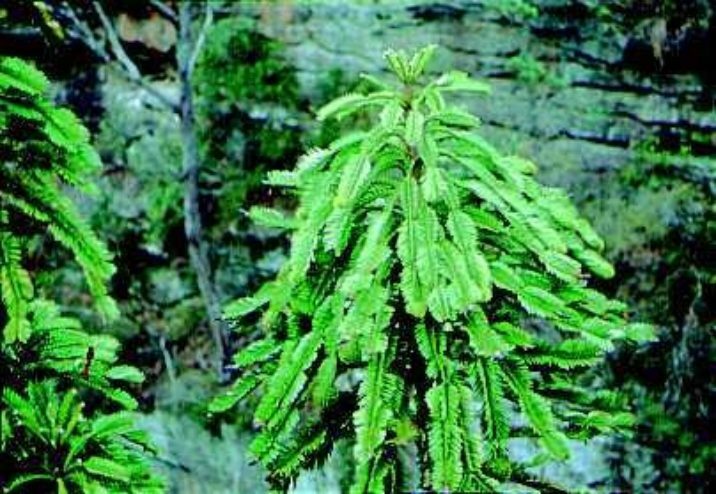 [type of genus] Wollemia is a monotypic genus. 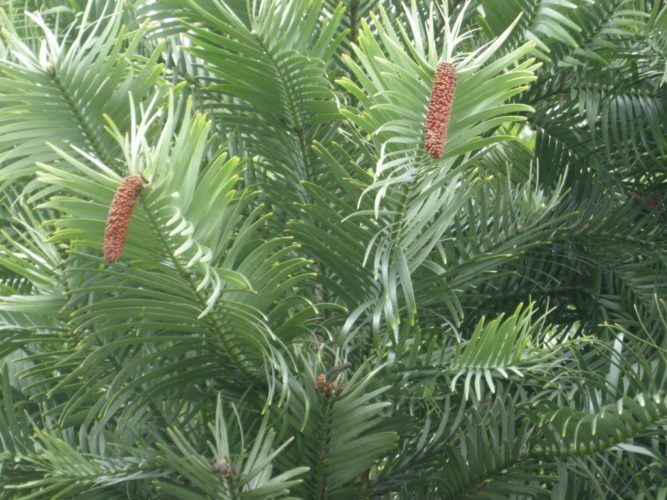 Of the other extant Araucariaceae, the new genus appears closest to Agathis, but it has many features in common with Cretaceous and early Tertiary fossil groups such as Araucarioides, and may be closer to these. Pollen also more closely resembles fossil pollen examples than pollen of either living genus. Leaves on adult lateral shoots are one of the most distinctive features of the new discovery, being arranged to present four ranks, with two ranks at about 150-175 and the other two ranks lying between the first two at about 50-90. 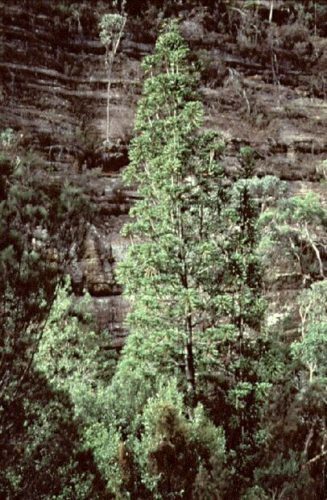 Currently known only from a very wet and sheltered gorge in the Wollemi National Park, in a rugged mountainous area of the Blue Mountains within 200 km north-west of Sydney in New South Wales, Australia (Anonymous 1999). The wild population consists of about 40 adult plants and about 200 seedlings. 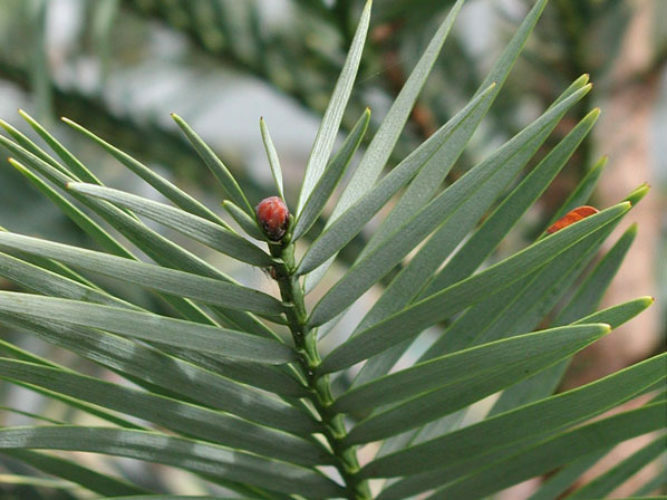 Wollemia nobilis — a closeup of new foliage and pollen cones. 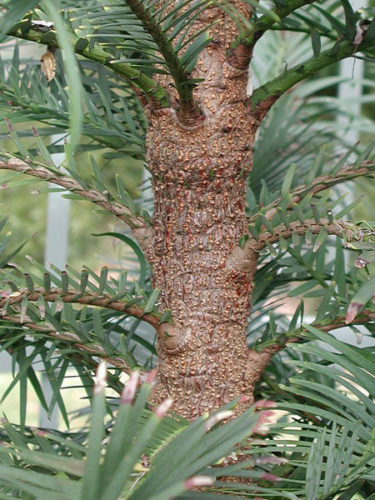 Wollemia nobilis — a closeup of the bark. 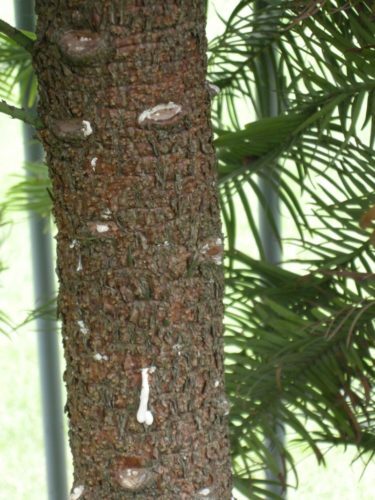 Older trees are said to have bark resembling "melted chocolate. 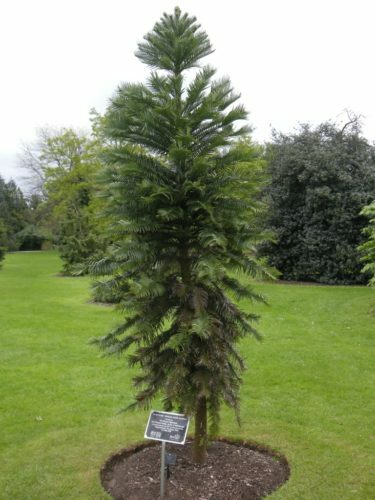 Wollemia nobilis — one of two planted in the open at Kew Gardens, London, UK where they have survived many zone 8 winters without protection. 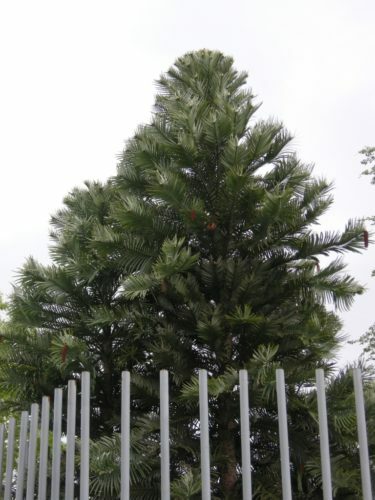 Wollemia nobilis — The larger of of the two specimens planted in the open at Kew Gardens, London, UK. When National Geographic Society first released seedlings, they recommended that they be caged to prevent theft.